Man uses his intelligence to create environment and life conditions, which guarantee the greatest possible independence from nature's conditions. In this way he leaves marks upon himself, landscape, fauna and flora. 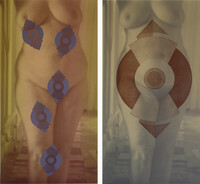 The series of graphic prints, Markings, consists of three diptychs. The works depict rocks, man and a bird in two colour scales. The first, more colourful diptych depicts details of symbols, whereas the second shows the prevalence of symbol at the cost of landscape, man and a bird. 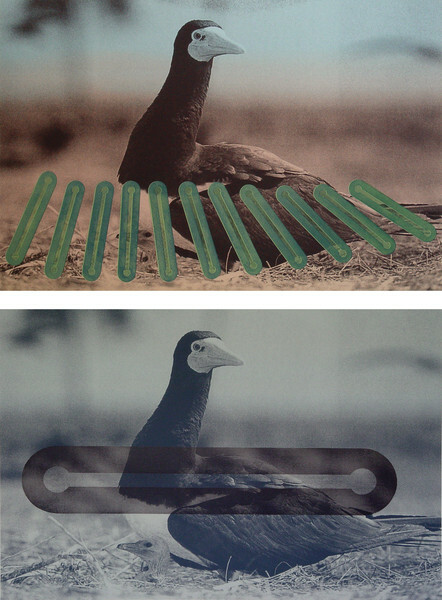 Where is the boundary between the natural and the artificial?